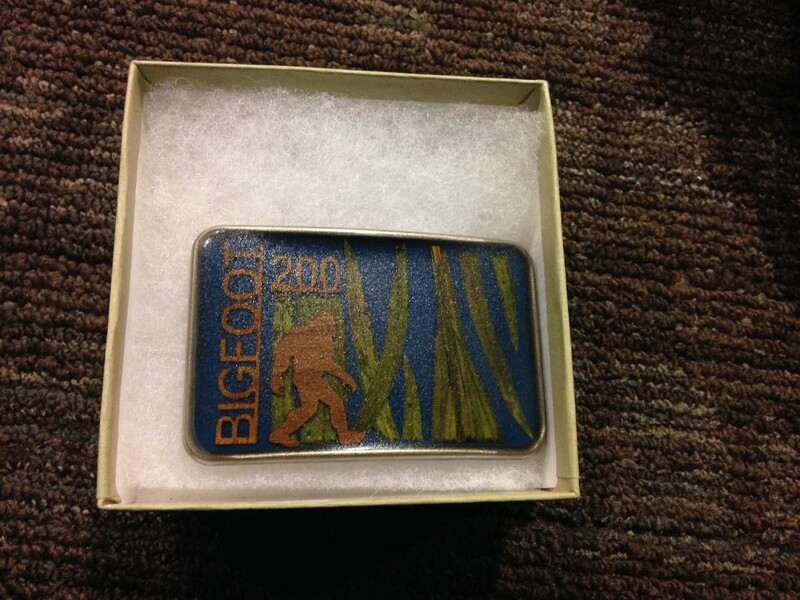 The Bigfoot 200 was the race of my life. It was what all of the other races, training runs, successes, stumbling blocks, tears and smiles of the past several years led up to. This is not simply because it was the longest race that I have done, but because of the myriad of elements that came together to create an event which emodied everything that I love and appreciate about mountian running. And about challenge itself. The rugged beauty of the Cascade Mountains, the excitement of a point-to-point race that takes days to complete, the incredible vision of the race director, Candice Burt, who created a challenge so pure that it brought runners from all across the globe to compete in it. The fact that it started on my 33rd birthday was an added incentive to join in on this adventure, which had come to feel like my personl proving ground. And, believe me, I came ready. At The Distance Project, my personal training and endurance coaching center, we prepare athletes for success. We are always ready to back-up our training programs by toeing the line of the hardest mountain races. Yet, with an event this long and this vast everything and everything can happen, and usually does. And that was the true appeal. I could do everything right, and still fail. I am never afraid to fail, and I’m never afraid to struggle, sweat and bleed to succeed either, I flew out to Seattle alone to find out what I could do on the trails of the Cascade Mountains. As I lay beneath the stars on the eve of the Bigfoot 200, I was nervous. I don’t usually feel nervous before races, and this feeling confirmed thar I was in the right place. One of my biggest fears is stagnation, and I try to plan routes and races that will push me to my limits and help me to grow. 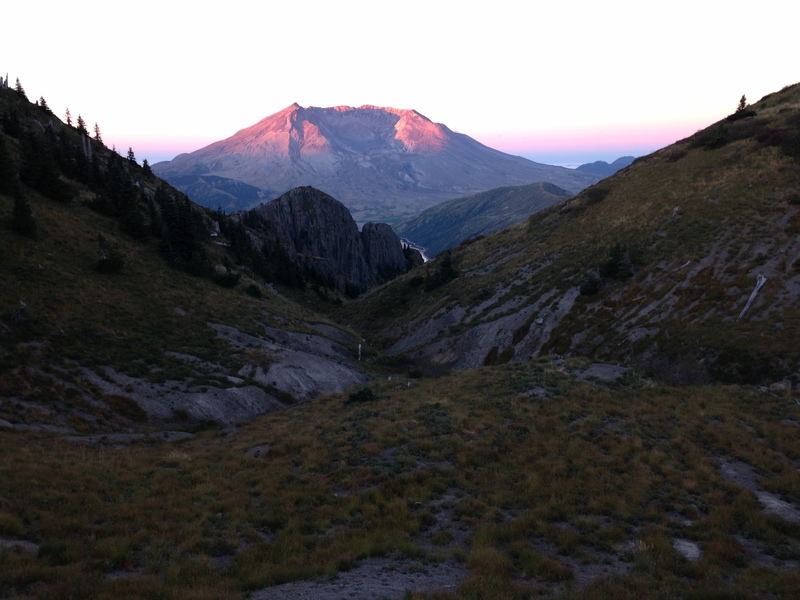 Knowing that for the next 4 days and nights I would be alone deep in those mountains, those great dark peaks that I could see from my sleeping bag here on the grounds of White Pass High School definitely unnervered me. But at the same time it excited me beyond belief. It was the deeper roots of my nervousness, though, that threatened to unravel me. For all the physical preperation that I had done, and the profound sense of readiness that our training at The Distance Project builds, I almost took myself out in a freak accident just hours prior to the race start. The uncertainty that stemmed from this near disaster kept me up most of the night. While chatting with another runner I knelt down to get something from my bag and felt the deepest, sharpest pain in my right knee that I can possibly describe. I had knelt down on a tent spike buried beneath a tarp and it dug deeply into what felt like my medial meniscus-it was as if a nail had been driven into both my knee and my soul at the same time. I could barely stand up, and had trouble walking or bending the knee at all, this at less than 10 hours away from the biggest race of my life. Suffice to say that it was a long, hard night, and when the sleeping field of runners rose to board the morning bus to the start line I could still barely hobble around or extend my leg. As I dressed and prepared to officially starrt this journey I reminded myself that I had no control over what damage may or may not have been done to my knee at this point, but I had control of my mind and spirit and how I handled whatever lie ahead. I would smile wide, run smart and enjoy every second of this adventure until I could either no longer move forward or until I crossed that finish line. The 2.5 hour bus ride flew by, and as we passed sections of trail which we would traverse in the race my heart literally jumped. The trees were proud and tall, the woods were deep and the mountains loomed silently above us all. Upon our arrival at race start I noticed that the pain in my knee had dulled a bit. Between tanking up on coffee, connecting with other runners and working on some logistical puzzle pieces, like where to hook my SPOT tracker onto my pack, the countdown to race start began before I knew it. 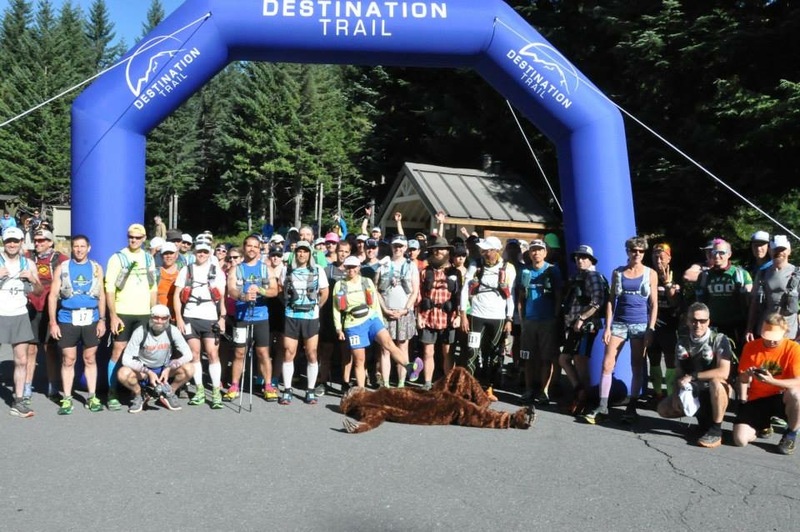 We lined up for a pic with Bigfoot, and following the single most exciting countdown of my life, we headed out onto the trails. My pace was smooth and steady and my knee was, incredibly, silent. At least for the moment. I soon began to push a bit harder as I wanted to make a nice sized dent in the distance over the course of the first 30 miles. 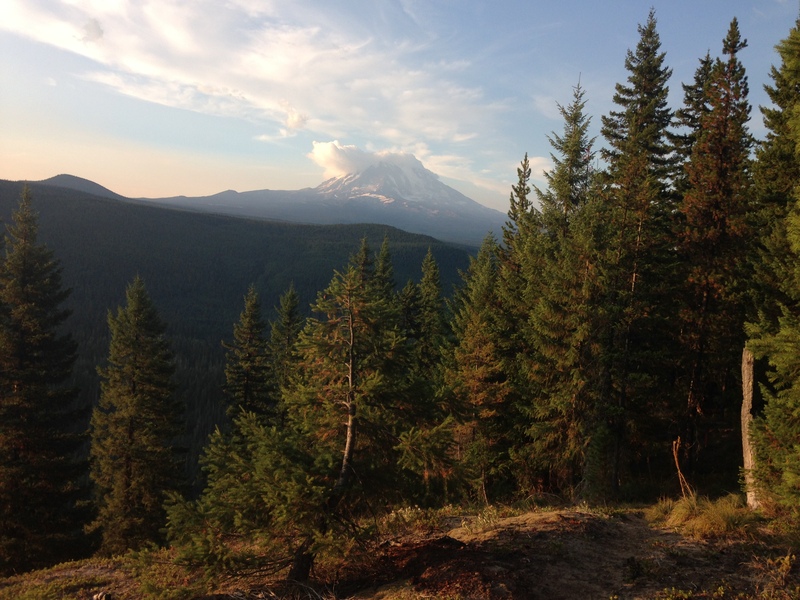 Soon we were running on smooth and sandy trails that wound around the base of Mount Saint Helen and slowly up towards her summit. The terrain soon varied from exposed stone and sun baked ridges to dark green singletrack as lush as you’ll find anywhere. I was so glad that I purchased a pair of gaters, as we were running in ankle deep sand for much of this section. Before long we were descending and ascending ropes and climbing up to adjacent ridges from the rocky valley that 10 feet of knotted cord looped around a boulder had allowed us to access. This was a super fun section, despite the multiple wasp stings which would become a theme throughout the race. I was in a pack with an amazing runner named MeepMeep Mount who I had travelled with from Seattle. As we pushed the pace on the steep climbs and rocky descents I suddently felt the knee lock up and stop me dead in my tracks. I though of a pact that I’d made with some higher power a few years before that if I got hurt in a race again, I would stop and not try to push through. I thought about the year of training, planning and dreaming that led me here. And I thought of the power of the mountains and the power of the mind to transcend the physical when the moment is rare enough, and right enough. I thought of all these things, and I believe I told my knee to hold on tight, as we were just gettting started. I said a small prayer to some force that must oversee our great human challenges, both self imposed and otherwise, and I began to run hard again. To save the suspense, I never heard experienced even a twinge from my knee again. The human body is simply amazing. I pulled into Blue Lake aid station feeling great, and after a quick refuel I raced back onto the trails. I ran alone for most of this section, and spent more time taking pictures and looking at the views than I’ve ever done in a race. The photo opportunities were just too unique and special to pass up. Near the end of this first 30 mile stretch I hooked up with a very kind and open runner named Dave and we ran into the first large aid station just before sunset. The food there was fantastic and the energy was high. As I left I felt a profound sense of gratitude to be doing this on my 33rd birthday and to be wrapping up one of the best days of running that I’d ever had. I initally planned to sleep at mile 89 and mile 138, but the lack of sleep prior to the race and the timing of my projected arrival into the first sleep station (mile 45 at around 10?) led me to reconsider. I experienced a new surge of energy as I decided that I would take my first real sleep at 45, and use the extra rest to push hard through Norway Pass and up to the Summit of Mount Margaret as the sun rose. The race manual suggested hitting this gorgeous section during the day if possible, but, like a lot of other runners, I thought 45 was way to early to slow down and snooze. 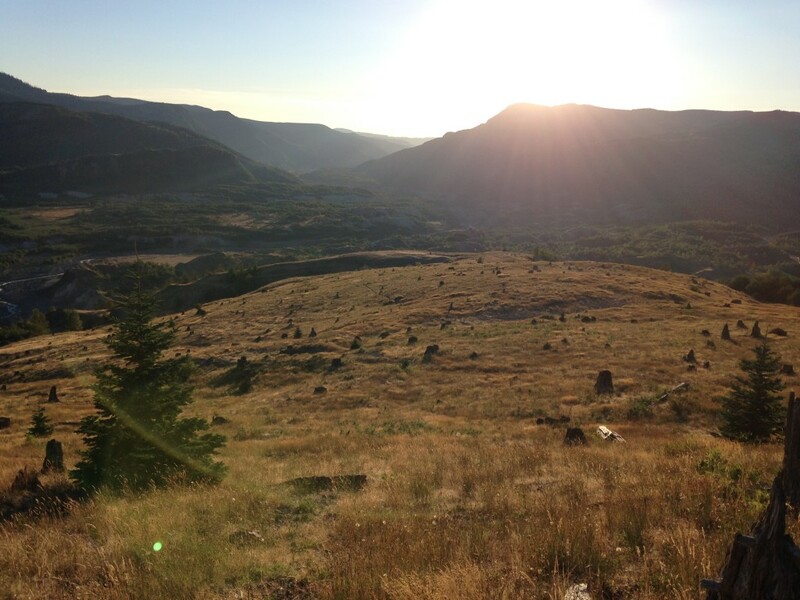 In retrospect, it was one of the best decision that I could have made as I avoided the strangeness that ensues after the first full night of running and snagged some of the best views of my life on the climb up to Mt. Margaret. The sleep station had an air matress and warm blankets, the aid station had boxes of hot pizza and there was a group of musicians playing the fiddle. Life was pretty good. Earlier in the year several of my athletes had chipped in to surprise me with the Ultimate Direction Fastpack, which I love wholeheartedly and which I picked up at this stage of the race. (Another decision that panned out well for me was to run the first 30 miles with my Ultimate Direction Peter Bakwin pack to reduce the time spent in a single heavy pack and the chance of chafing in the same spots. The first 30 miles were equivelent to running a Pemi Loop for all of my NorthEast friends, and made for a seriously full day. I am so glad that I switched packs and avoided what could have been a very nasty situation, as I did end up chafing my back in the Fastpack by day 4 regardless. I am also glad that I avoided the weirdness that ensues after the first full night of running without sleep, and took advantage of a rare opportunity where I could sleep and not yet wake with any stiffness. In my pack I had a pair of long pants, a wool shirt, and a puffy jacket reserved especially for sleep. I pulled them on over my running clothes, elevated my feet and took off my shoes to reduce swelling and nodded off for my longest sleep of the race, a planned 3 hour snooze. I dropped back about 20 positions, but gained each one back by the end of the race while avoiding sleep deprivation until the very late stages. I should interject a quick word about competition as it relates to this race. This event was so huge, so personal and so special to all involved that I doubt many were racing “competetively” and vying for positons throughout the race. I certainly wasn’t. But, throughout this report I want to lay out factors that contributed to or detracted from my successful finish in the hopes that as others plan their 2016 races this report may be a help. My goal is always to run the best that I can, and the positions that I gained or lost from this point on simply reflect mistakes or good choices that myself and my fellow runners may have made and the lessons that can be learned from them. I awoke feeling refreshed and ready for mountain trails. One of the registration requirements for the race was that runners submitted a pound of local, high quality coffee from their neighboorhood roaster, and this was now being brewed up in single serve cups at every aid station. Anyone who knows me can imagine how unbelievably happy this made me. With caffeine flowing through me and the mountains in my heart I pressed up the sandy trails along Norway Pass. As the sun began to rise I realized the true wisdom in my decision to sleep. I would not have traded the sunrise over Norway Pass and the view from the summit of Mount Margeret for any race positions or time gains. I would have traded it for nothing short of the ability to finish. There are 3 mandatory out and backs on this point-to-point course, summits that the race director, Candice, thought that we were too close to simply blow by and not see. Each one was worth the extra climbing by far, and the summit of Margaret left me speechless and almost in tears. The descent into the Norway Pass aid station as a fast one and soon I was eating pancakes, drinking more coffee and planning the next stretch. This section went by quickly for me, and with no notable climbs and plenty of runnable trail it felt like a fun respite from the climbing behind me and the climbing ahead. Now, don’t get me wrong. I absolutely love to climb and often looked forward to powering up the next peak. But, the elevation in this race is the devil itself, and it slowly gnaws on you with it’s jagged teeth until it either succesfully eats you alive or until you escape it at around mile 180. 50,000 feet of climbing is just no joke. Near the end of this stretch and not very far from the 9237 aid station, my second planned sleep stop and my first drop bag, I got off trail. The entire course was marked with pink ribbons, and when I got to the base of a steep descent I saw a bundle of them wrapped around some logs. The ribbons stretched through the woods, and even though the trail began to feel like a pure bushwack, I followed them. We had been warned about a bushwack section in the pre-race meeting, a section that felt like you were certainly off trail but one that was well marked, and I assumed that this was it. Soon, I popped out on a country road. There were pink ribbons in all directions. In fact, there were pink ribbons everywhere, and, finally, a sign explaining that the ribbons deonted some type of boundary for the town. They had nothing to do with the race at all. I headed back the way that I’d come, but determining the exact spot in which I’d stepped out of the trees amidst a mile long string of pink ribbons was no easy task. I must have looked pretty silly on the SPOT tracker as I ran in circles for nearly 40 minutes trying one spot, and then another, to finally return to Candice’s reflective ribbons and to the race course. Let me say that this race will reveal the chinks in your armour, You will break down numerous times while you run it. You will cry with joy, with fear and with despair at some point between the start line and the finish. And you will be pushed beyond your breaking point many, many times. This was the first of those instances for me, as I was increasingly certain that I had somehow gotten farther, not closer, to the race course and that I was, in fact, lost on some powerline trails that would not ever connect to the course again. I pictured having to sound my emergnecy alarm on the SPOT tracker after exhausting every possible access spot for the trail that I ran in on, and my pace picked up significantly as I tried to get back on course before darkness fell. I pictured having to tell Jes and all of my teammates how I had failed. I pictured flying home without the buckle that I had worked so hard and come so far for. And I literally felt my confidence and strength leeched from me. Finally, I saw a race marker. It didn’t seem to make sense to me as I ran towards it, and I wondered if I had stumbled on another part of the course that we hadn’t run yet. Also, the closer that nightfall came the faster that I began to run and I must have been doing 8 minute miles by the time that I finally burst out of the woods and onto the road towards the aid station. I could have cried right there I was so happy. No sooner did I reach the station than the night air hit my sweat soaked body and I fell into full on tremors. Luckily, I had my puffy jacket and pants in my pack and within minutes I was warm, wrapped in a blanket, and eating a big bowl of chilli with guacamole. Once again, I elevated my feet and removed my shoes to avoid swelling, and fell asleep on an air matress underneath the stars. I woke up around 1 and had a great breakfast of hashbrowns and bacon with a hot cup of coffee as I prepared to head back into the mountains. My plan for the next two sections, which totalled roughly 20 miles and preceeded the most difficult section of the entire course, was to hike steadliy throughout the night. 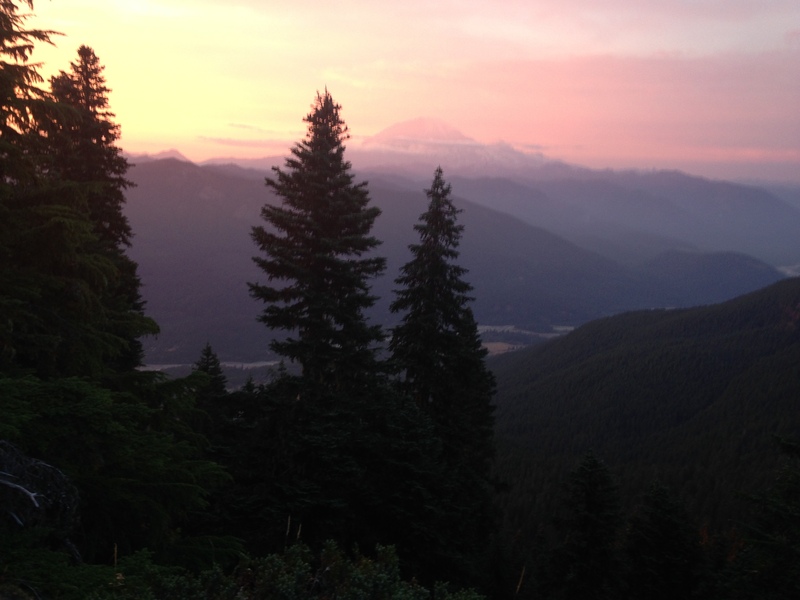 I would run lightly only when the mood struck, and maintain forward motion until reaching the Lewis River Campground. Despite some reeeaallly creepy trees, howling winds and generally haunted vibes climbing up Cussed Hollow (?!?) I had a peaceful night winding down the first 100 miles of the run. The challenge in this section is that the next aid station is ages away. It’s like weeks away. It’s as if every step that you take is actually just you leaning on your poles and trodding away in place, never to get anywhere. Then, when you finally see a sign, and see campers parked in a small lot, and realized that you’ve finally made it to the aid station, only to see that you have 2 MILES to go, your heart slowly breaks. And you trudge on. It’s really the knowledge that the crux of the race, the climb that stands out menacingly on the elevation profile, the 18.7 mile stretch with well over 5,600 feet of straight up vertical gain at mile 109 of a run, lies direcly after the Lewis River aid station, that makes this nearly 20 mile stretch of comparatively easy trail feel so damn hard. Most runners who reached this section opted to sleep. But, having slept at both mile 45 and 89 I wasn’t the least bit tired. Still, I knew that I should rest, elevate my feet, take my shoes off (something that helped so much with avoiding blisters and beat up feet-I took my shoes off for just a few minutes at each aid station and finished a 200+ mile race without a single blister) and eat well at this station before the big monster stretch ahead. As runners rose, applied tape and bandages to feet, and readied themsleves for the day I marvelled in the fact that I was over the 100 mile hump. This was new territory, and a real adventure. Planning what nights three and four would look like was impossible, but I made a commitment to myself to enjoy them in every way that I can. I could only imagine what it would feel like to cross that finish line, and the very thought of it shook me to the bone. I began the descent out of the aid station and quickly found that my hamstrings were seriously tight. I could jog along, and climb very well, but I couldn’t take advantage of the fantastic, northwest singletrack that stretch out before me in the way that I would have like to. I had the honor of running with Koichi, a runner from Japan who crossed the line of the Tahoe 200 WITH 3 SECONDS TO SPARE! Apparently, the crowd screamed as he barreled toward the finish line and did a baseball slide across the line in 99:59:57 to beat the 100 hour cut-off. I share that story a lot at my training center as it is a pure an example of human tenacity and mental fortitude as I have ever heard. For all of the hidden elevation that this section held, the company of Koichi and another runner named Bill made the miles go by smooth and steady. It wasn’t until I lost Koichi during a small lunch break by a stream and Bill to a nap that called him into the woods that I started to feel the pain. The bulk of this climb comes in one shot, and as much as I enjoy a long, prolonged climb, the timing of this one nearly broke me. I used every mantra, every ounce of strength, every positive affirmation and every mental tool in the toolbox but it still broke me. Physically and mentally I was shaken as I climbed for hour upon hour on a course that had suddenly turned sinister. At one point, I laid on the single track trail and looked straight up at the sky. As I rose I found two mountain bikers soaring down the trail from the summit! I don’t believe that they could have possibly stopped had they suddenly found me laying there and would either have run over my face or gone over the side of the trail trying to avoid me. I never, in my wildest dreams, expected to see bikes in the deepest part of the backcountry but will certainly think twice before lying down on a trail again! One mistake that I made was not wearing a GPS in this race. With aid spaced so far apart, some idea of how close or far you were was a neccessity. Otherwise, you do what I did and arbitrarily decide when a section should be “done” and begin looking for the aid station MILES too early, only to be dissapointed at each and evey turn. When I finally emerged from the trail, I approached an aid station with a level of dependance that I had never experienced before. I needed comfort, a big warm welcome and a huge plate of food. The volunteers at this race were amazing, and they got me set up with hot food, cold drinks, snacks for the road and plenty of freshly brewed coffee. Now, I don’t know if the aid station volunteer made a mistake, but I think he may have put a pot’s worth of coffee into a single cup. I am a huge coffee snob, and the caffiene had been really helping me along for the entire race. But, suddenly, my heart was pounding in my chest, sweat was pouring out of my body and my hands were shaking. I was riding an espresso shot from the Devil straight into the depths of Hell. I rode that train hard and took the anger, pain and desperation from the last section with me as I forced my way towards Chain of Lakes, a pivitol point in my race as it held my second and last drop bag and was my last intended sleep. Fortunately, I met up with another runner named Joe and we shared some miles together. We had great conversation and the human connection that I had longed for at the last aid station had been established. We walked a long stretch of road before the night fell and the sandy, rolling trails near the lake brought us into the aid station. I took care of my needs at this station, ate some food (a bowl of honey nut cheerios with almond milk!) and laid down for 1.5 hours. My last sleep of the race. I awoke just after midnight on what was now Monday morning, with a fire burning in my heart. 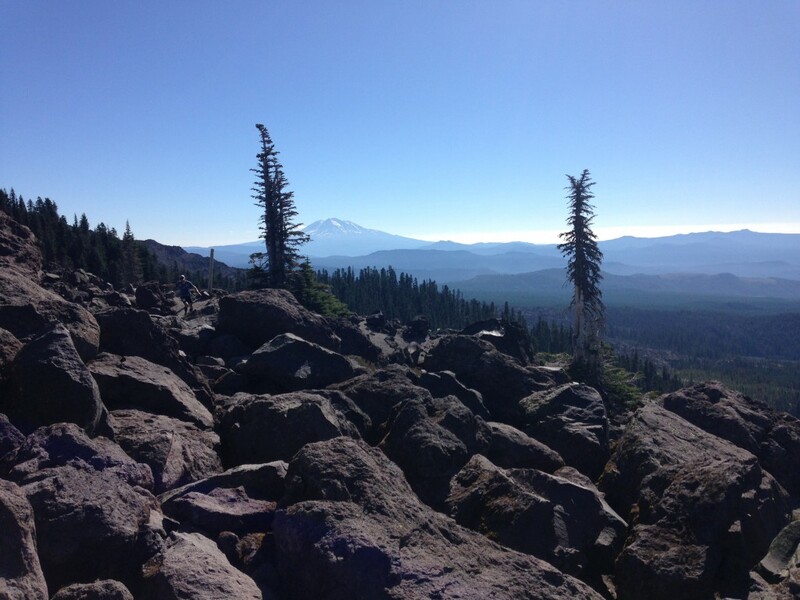 It was now the home stretch of the Bigfoot 200, it was my last day to run on, and to enjoy, these trails. Nothing was going to stand in my way. I drank more good coffee (let me repeat that a 200 mile race with high quality, single serve coffee at the aid stations is the best thing ever) and I ran the sandy river trails at full speed, relying on my friend Amy’s torch of a headlamp to light the way. We came to several river crossings, which I crossed barefoot in the cold night. My feet have historically gotten shredded in 100 milers, but I finally figured out the secret remedy for this race. The combination of tincture of benzoine applied pre-race and carefully cut strips of duct tape to match the blister pattern that I got at Massanutten worked perfectly. It was mile 140 of a race and I didn’t have a single blister to speak of. I had worn my Altra Lone Peak 2.5’s for the first 138 miles and was now in my Altra Olympus. At The Distance Project we do all of our training barefoot, as we recongnize the critical role of the foot in all elements of athleticism. Altra, in my opinion, is the smartest shoe company on the market when it comes to recognizing how human biomechanics work and after years of experimnting with different shoes I can confidently say that unless someone can top what this innovative company is doing I will be an Altra runner for life. Another runner named Kent (Bull) Dozier who had dropped from the race due to foot issues was here to volunteer. I ran with Kent for a previous stretch and learned that this was his fifth 200 miler of the year. Simply out of this world. The caliber of athlete that this event drew was just unparraleled. Countless finishers of some of the worlds toughest races-Badwater, Hardrock, Vol State 500k, Tahoe 200 and many more. It was a real honor to run along side them. I ended up in a pack of runners by the lake, but still felt like pushing the pace after my bottles were full. I soon broke out of the pack and found myself driving up the hill as hard as I can, while inside I was as relaxed as possible. Then, something that’s only happened once or twice before took place. Possibly tapping into some ancient connection to my Native American roots, I found myself breaking into an audible chant that grew louder and more rythmic as I pressed harder and harder up the steep pass. Soon I was in full sway, chanting and breathing and driving myself up the hill with the power of some unseen force. When I reached the top and realixed that I had a gentle 1.5 mile out and back to the mile 175 aid station I stood there overwhelmed by how far I had come. I cruised into mile 175 to a plate of pulled pork and mashed potatoes, and some of the friendliest volunteers imaginable. My plan was to rest for about half an hour, and then bring this baby home. I tried joking around with him but he got nasty pretty quick. He left the station just before me, and I hoped that he would either beet feet or that I would pass him, as I planned to use this last section to reflect on some pretty personal matters in my life and to take in this huge accomplishment that had literally been life-changing for me. I made my way up the steep climb which had served as the smooth descent into Twin Sisters. I felt tired, and without the usual post-aid station bounce in my step, but at this point I was running on the low end of sleep and knew that I could knock out these last 25 miles if I just got into a steady groove. Soon I came up behind the mad runner, along with some friends I’d made along the way. I hung with them for a while, thankful for a bit of company for what I knew would be an unforgettable sunset on Pompey Pass. We had the opportunity to hike up to the peak together, the last mandatory out-and-back and one of the high points of the entire race. We watched a beautiful sunset, and the moment was almost too magical for words. It was on our way down Pompey, that the angry runner began fuming again. I won’t get into the nature of his complaints, as I don’t want to give him any more airtime than neccesary. I will only say that they were directed toward the race organization and the race itself and (save for a few observations on the inevitable first year, race mistakes) and were totally invalid. I calmly explained to the him that I was having a very special moment winding down towards the finish line of this race and in the midst of processing a surreal and powerful experience. I told him that I respected his right to process, deal with and run the race that he saw fit, and asked him to simply respect mine as well. Then he personally insulted me, and I got angry. As I ran behind him I reminded myself of all the themes that had brought me to this point, gratitude, perserverance, enjoyment, and how none of what was transpiring between me and this other runner fit into the beautiful puzzle that I had spent the last several day building. I’ll admit that in every day life I am not quite as amiable, I give respect, demand respect and am not a great guy to curse at and insult unless you’re pretty sure that you can back it up. But given the nature of the moment, and the parts of myself that I am working to develop, improve upon and change, I simply wished him a good race and bombed down the trails like a man possesed. I hurdled over downed trees, lept from rock to rock and, at one point, flipped completely upside down. I remember seeing the moon, the ground, and the moon again and finding my cell phone on the ground which I picked up without missing a beat. Soon the trail levelled out a bit and I was running along the creek and beneath the starts at a pace that felt like flying. I had long left the small group that I summited Pompey with and did not anticipate anyone passing me at the pace that I was holding. I had the rest of the night before me, and about 18 miles of river trail and road between myself and the finish line. The stars were out, the race of my life was in the bag and the only question was what pace could I sustain and how fast could I get it done. I crossed Owens Creek and before long I came to the last aid station. Wow. The last aid station. I was going to skip it completely but settled on a quick cup of coffee before tackling the 13 mile stretch of road that seperated me from the finish. No sooner did I leave the aid station did I flip the switch to half-marathon mode. This was a distance that I was familiar with and could comprehend. I ran my heart out that night, and around 8 miles in I suddenly remembered that I had my phone and could play music. This gave me a much appreciated boost and soon Fugazi, Stiff Little Fingers and Iggy Pop were cranking in the night sky. My pace quickened and I finally came crashing into downtown Randle, my heart slamming in my chest and my breath heavy-only to find myself at a cold, dark interesction with no sign indicating were to go. There was a gas station and a fish market both of which were closed as it was about 1 a.m. I had a fleeting moment of despair as I realized that I needed to run backwards to find the last marker. After an 1/8th of a mile I came across an arrow and realized that I needed to cross the interesection by the gas station after all. The pitch black road ran round and round, never seeming to wind any closer to the High School, but I didn’t care at this point since I knew that less than a mile stood between me and the finish. When I turned the corner and saw the big, glowing score board, my eyes welled up again. I ran through the parking lot and came to the track which was blocked off with tape, apparently they wanted us to run the ¼ mile. I was all in, and with the crowd cheeering for me I gave my 100% best sprint to close out the biggest, and best race experience of my life. I crossed the line in 88: 43:55. 33rd place in an event that began on my 33rd birthday. Candice was there to greet me, and despite the sweat soaked mess than my impromptu half marathon had resulted in she wrapped her arms around me and have me a hug. I sat down among the other finishers and Candice brought me a warm blanket and one of many cups of ice cold coke. She asked what I wanted on my personalized pizza, which she made for every runners in a wood stove right there at the finish. I told her to dream up something amazing, and she came through-big time. I walked over to the table where roughly 100 hand crafted buckles were laid out. Each one contained materials from the course and each was so different, speaking to the personalities of this truly diverse field of runners. I was tempted to grab a black one, as I usually gravitate towards the color and the mix of forest green on black was very appealing. Then, I spotted my favorite colors in the world, royal blue and green laid out across a very personal looking buckle that lifted my heart straight up. It seemed to match my expereince in the Cascade Mountains so perfectly, and I am beyond proud to hang it on the walls of my training center. I lay on the track all night, wrapped in blankets and cheering the other runners in. Watching each one cross the line, and studying their faces as they ever so carefully picked their buckles out was one of the absolute highlights of the entire week. The procession of finishers continued throughout the next day, and each finish was just as exciting, and just as special as the one before it. Watching human beings accomplish the impossible is what I live for. It’s why I opened a training center, and it’s why I am a coach. We are capable of so much more than we ever believe, and when an event like the The Bigfoot 200 presents an opportunity to prove this to ourselves, over the course of 4 days and nights, 98,000 feet of elevation change and every mental, emotional and physical obstacle possible-and we still succeed, it is nothing short of magical. An endless thank you to Candice Burt, the rest of the Bigfoot 200 crew and every single runner who toed the line that Friday morning to find out what they had. This event made me stronger for having run it, and I will take that strength right back to The Distance Project’s training center to share it with my athletes and water the seeds of this growing, inspiring and amazing community. *I can not overstate the amount of energy that I draw from my athletes. Watching them push hard in every training session drives me to make them proud and to go for broke at every event that participate in. I definitely felt the power of our Distance Project team in these mountains. *Meepmeep Mount is an amazing runner. And an amazing dude. Getting to meet him, Jason Davis, Rick Arickado, Kent Dozier and so many other runners whose spirits just soared on the facebook page months before the event began was an unbelievable honor. Some amazing people are drawn to this event, and it was worth the trip alone just to run with them. *Watching a world class runner named Julio finish the race after being lost in the mountains for 12 HOURS was one of the most inspiring things that I havee ever witnessed. Congrats to you, Julio. And endless respect. *Sleep is definitely the deciding factor in 200 mile races. I watched the effect that it had on myself and the other runners, and one piece of advice that I would give to anyone considering taking on this distance is to not get caught up in a sleep-deprivation contest. There is no shame is resting and then running fast, and if your goal is not only to finish well but to take in some seriously beautful mountain trails, wandering around in a sleep deprived haze for days is may not be the best plan. Have faith that you can, and will, run fast again and make up time lost for sleep, if you allow yourself the rest. Self-care seems to be the name of the game at this distance. I slept a total of 7.5 hours and may have cut back to 5.5-6, but no less. *Altra is a really amazing shoe. I would say that the majority of runners wore Altra’s or Hoka’s at the event. Because Altra is shaped to accommodate the natural spalying of the toes and the shape of the relaxed and unrestricted human foot it is a fantastic choice for a super endurance event like this. I sized my Altra’s ao that I could wear two pairs of socks, strip off one pair when my feet began to swell and switch to a ½ size up when they began to swell more. I finished the race without a blister, swelling or any foot discomfort at all. *Unless you have some inexplicable beef with trekking poles-use them. Spend the time building up your arms and bring your whole body to these events. I felt like a powerhouse with my poles, and they never once bothered by hands or arms, due to the amount of barbell training for grip strength that we do and the countless push-ups, weighted vest push-ups and bench pressing that leaves our arms pretty strong for climbing or using poles. If it’s powered by your body, and something that you can develop through dedicated traning, and within the rules of the race-it is fair game. And a game changer. *In training I followed our Strength Training for Ultra-Athletes program that I desgined and that we use for all of our ultra-distance athletes at The Distance Project. The base of the program is 3x per week heavy weight/low repetition deadlifts and back squats at 80-90% of our strength capacity, lot’s of plyometrics, 4-5 short, high intensity conditioning sessions ranging from 5-20 minutes, and one main run per week, ranging from 5-10+ hours. We focus heavily on recovery strategies, do all of our indoor training barefoot to strengthen the muscles, tendons and ligaments of the feet and calves and practice myofascial release and mobility work to increase range of motion and reduce injury risk. Our additional running is limited to 400m sprints, 800m sprints and mile repeats, save for the relaxed and casual mid-distance runs which are part of our active recovery practice and not considered training. We are highly cognizant of the hormonal impacts of endurance training and balance them out through focused resistance training to ensure that we race healthy and strong. Nutrition lies at the foundation of our program. *Perhaps most importantly, never fall out of love. At times I would talk to a runner who was pushing a truly tedious race schedule and they confided that they just weren’t having fun out there. I talked to others who raced less frequently and they were having the time of their lives. Each of us has a different capacity for these type of adventures, and many can race year round with the same passion that they displayed when all of this was exciting, amazing, and new. But, burnout is a very real thing, and it looms over any of us who live at the very edge of our limits. There is a saying that even beauty gets old, and it is a powerful one. 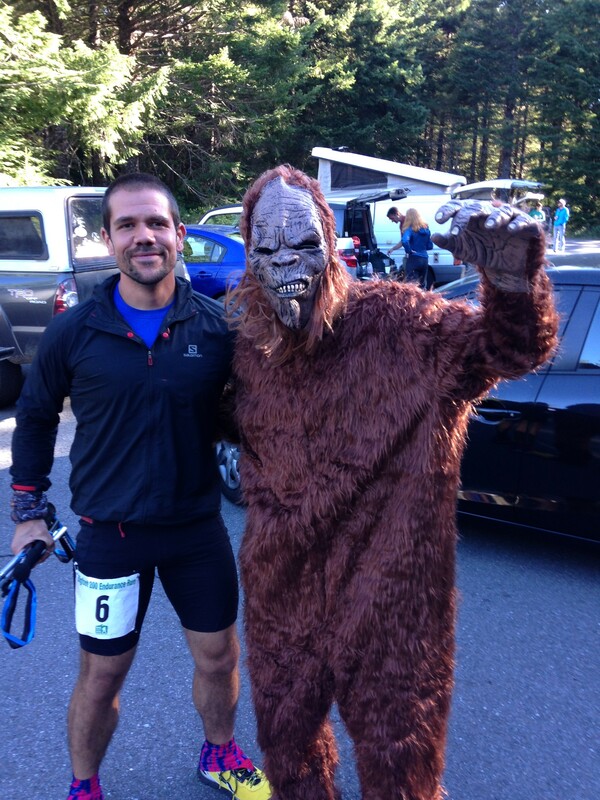 I had the time of my life at The Bigfoot 200, and it fulfilled me on the deepest level. I will be careful before signing up for any event that does not grab my heart in such a powerful way, and I will dedicate my focus to growing my training center and to big mountain adventures in the White Mountains and the mountains of Maine in the meantime. One race on my bucket-list is Tor des Geants, but that will have to be a few years off. Wherever my running takes me, I hope that my heart is always full of joy as I race across new mountain ranges and approach new distances. Love is the fuel for adventure-so don’t ever fall out of love. Contact me if you’re interested in learning more about our Strength Training for Ultra-Athletes program, to book one of our Strength Camps for Runners in your neck of the woods, or to discuss online coaching complete with video analysis of your running form and strength training practice.